At today’s launch event in Shanghai, Microsoft officially took the wraps of its new Surface Pro tablet. 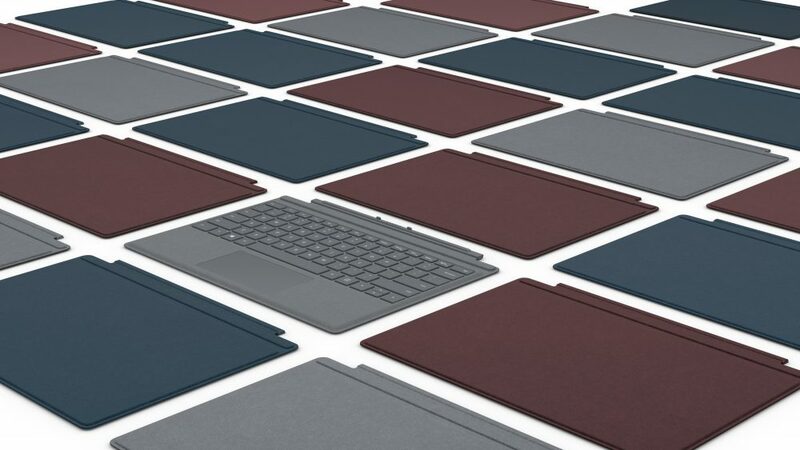 There was no official live stream, and the software giant’s live blog was hit by technical difficulties which meant it wasn’t updated as intended, but we finally have the information on the new device, which Microsoft describes as "the most versatile laptop." 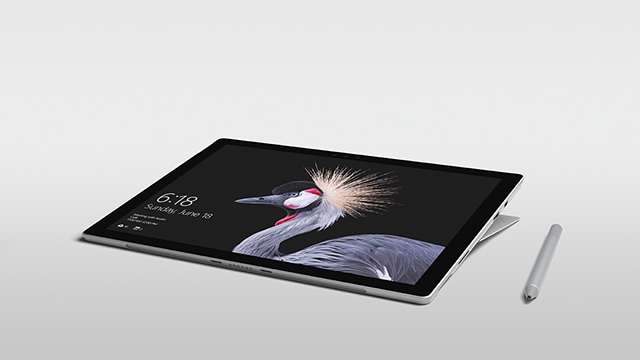 Called simply Surface Pro, the tablet is a beautifully crafted device that’s the thinnest and fastest produced so far. 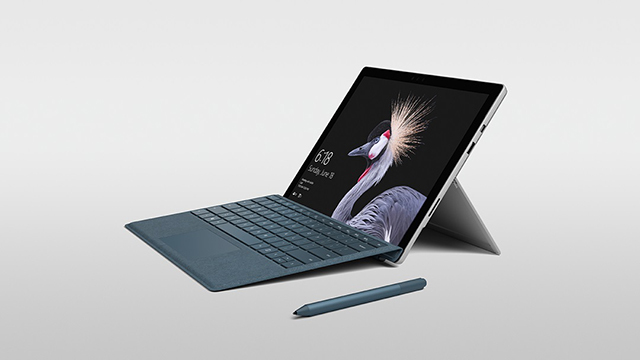 It’s powered by the Core i7 7th Gen Kaby Lake processor, and promises 13.5 hours of battery life -- that's a big 50 percent improvement over the Surface Pro 4. Aside from being thinner (just 8.5mm, and weighing 1.7lbs) it looks nearly identical to its predecessor -- most of the changes are inside this time around. 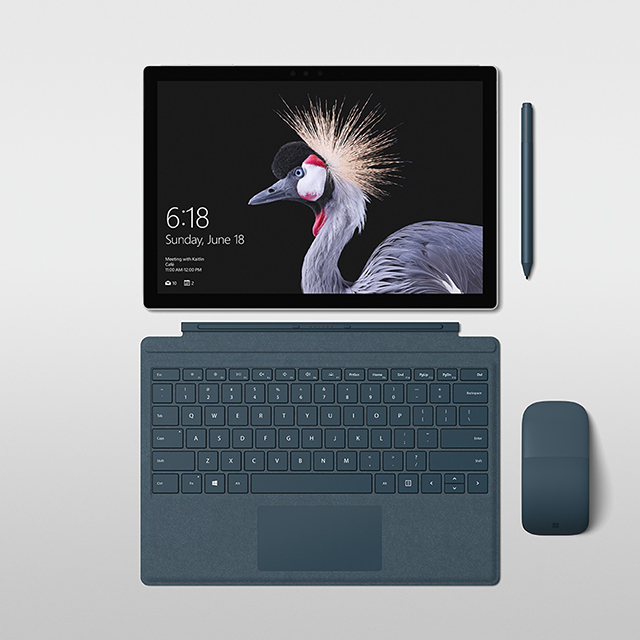 Panos Panay, corporate vice president, Microsoft Devices, says the company has "optimized every millimeter, with over 800 new custom parts and used 99 percent of the space inside the device." There’s a new fanless option on the Core m3 and Core i5 models, a next generation hinge that allows it to lay almost flat, LTE Advanced (which is coming later this year), and Surface Dial support. The pen, which is available to buy separately for $99, has been improved too. The levels of pressure sensitivity have been quadrupled to 4096 and the activation force reduced -- making inking feel more natural. You can ink in Microsoft Office now. There’s no USB-C ports on the new device though, which is a shame. Surface Pro’s 12.3 inch PixelSense Display offers 267ppi and a 3:2 aspect ratio with more enhanced color. There are new Alcantara keyboards to go with the tablet in a choice of colors -- platinum, burgundy, and cobalt blue. These are priced at $159. There’s a regular black Type Cover available for $129 if you prefer. The Surface Pro, running Windows 10 Creators Update, is priced from $799 (without the pen). It's available to pre-order from today, as are the Signature Type Covers, and will ship worldwide on June 15. Surface Pen will be available in the coming weeks.